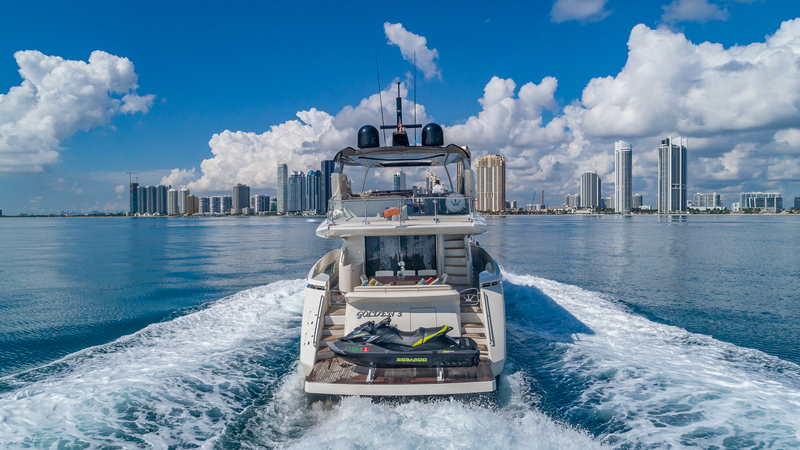 The 80 foot Dominator, Green 3 is waiting for you to explore! 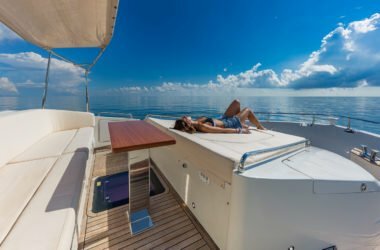 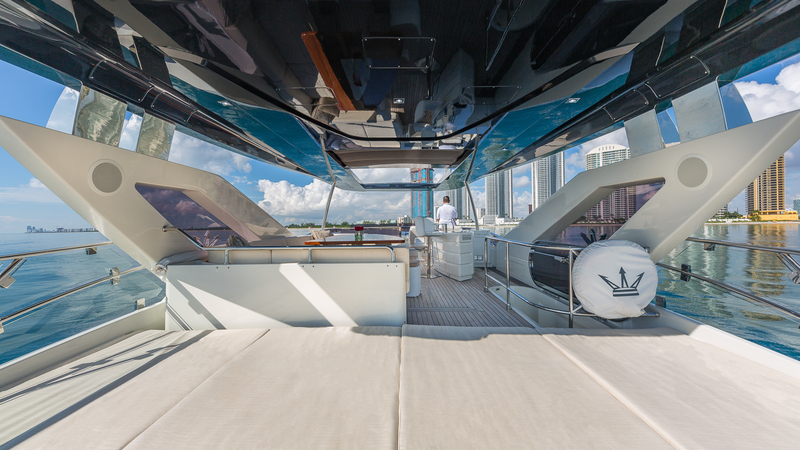 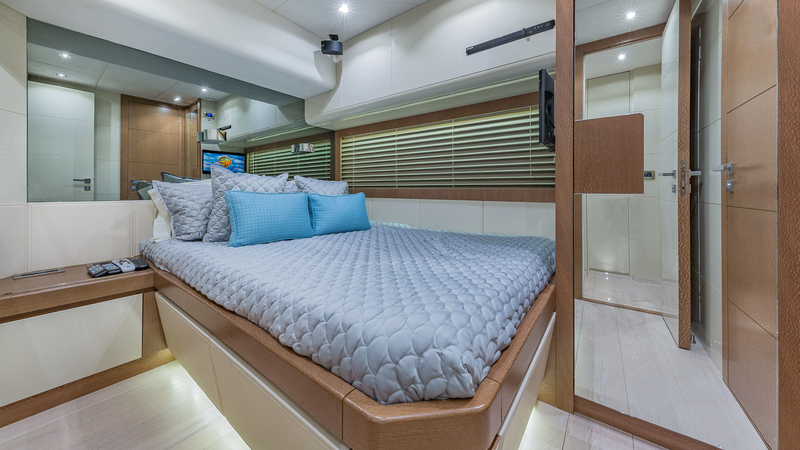 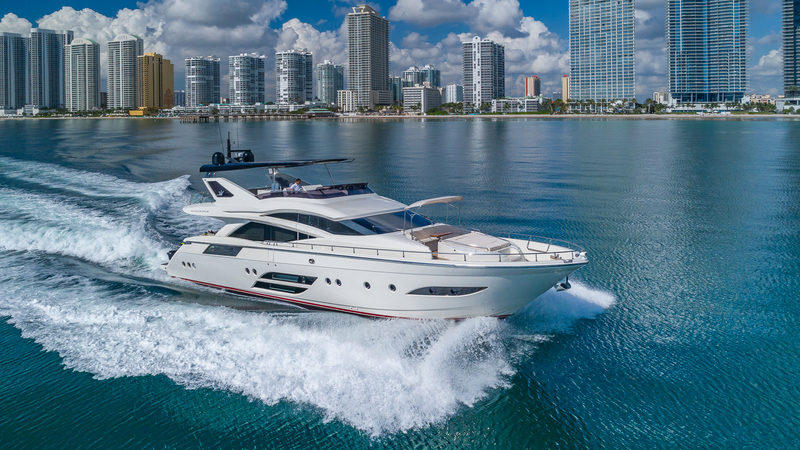 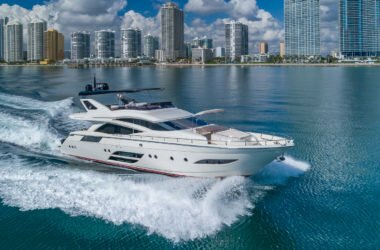 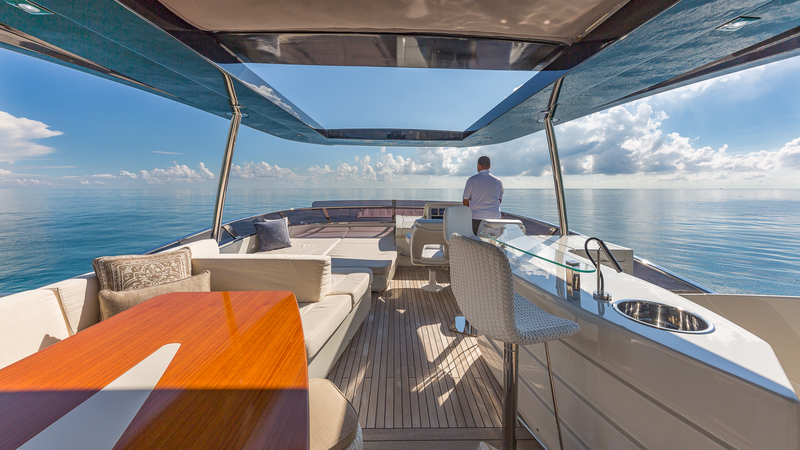 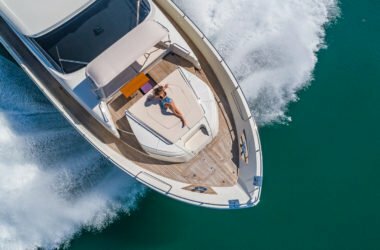 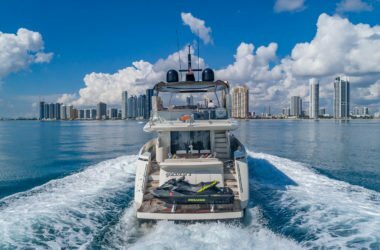 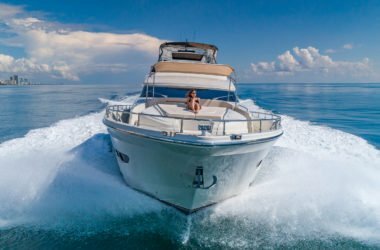 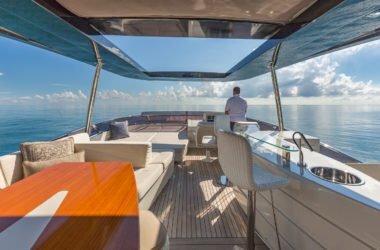 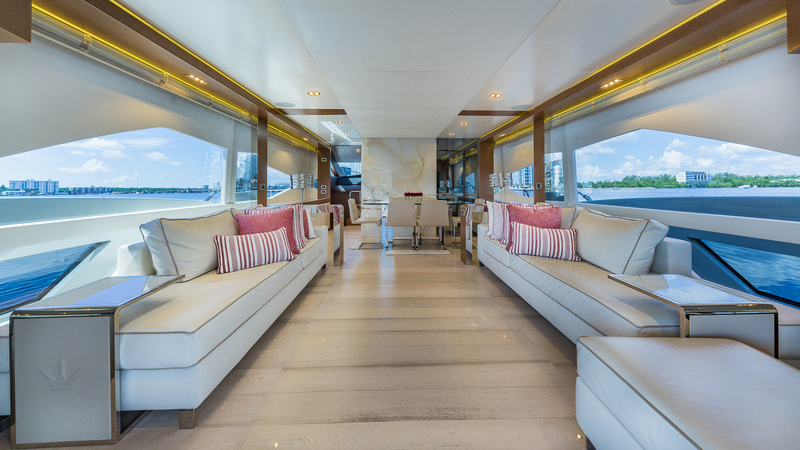 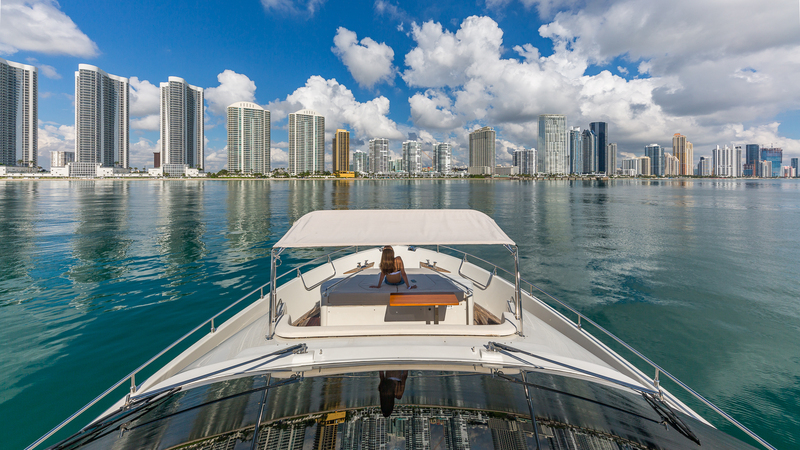 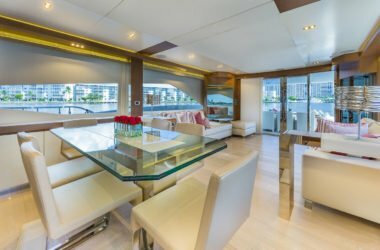 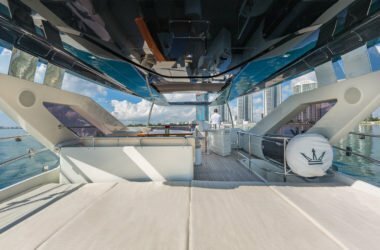 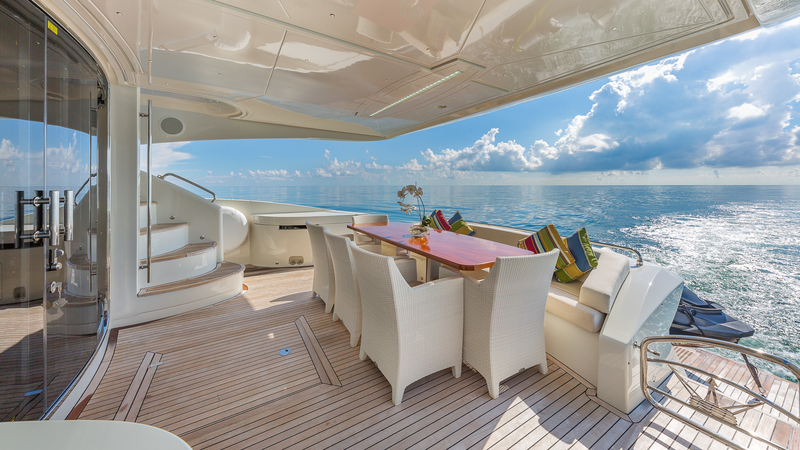 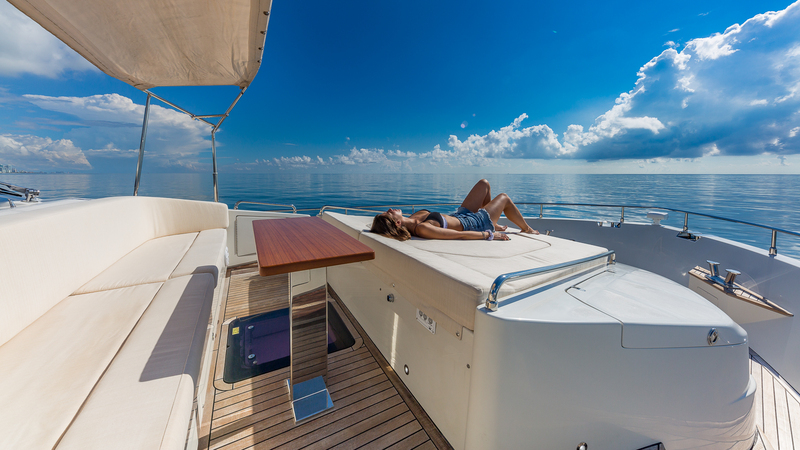 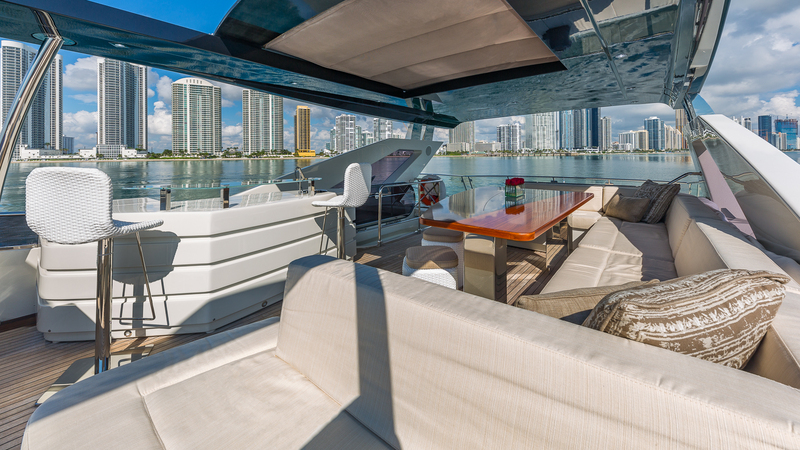 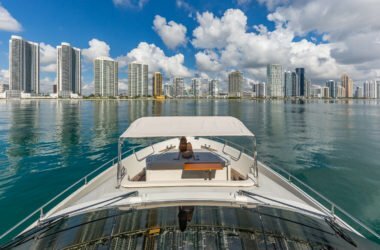 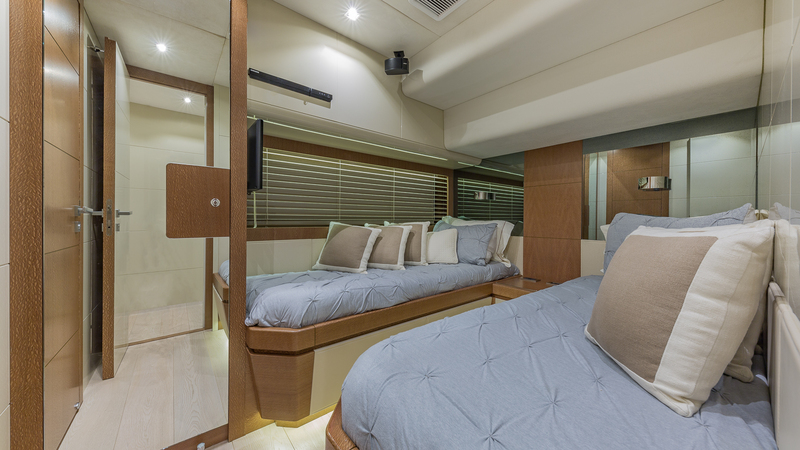 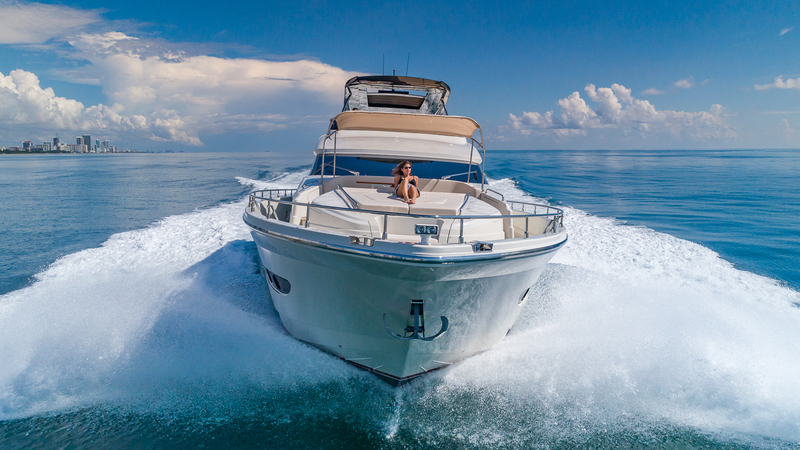 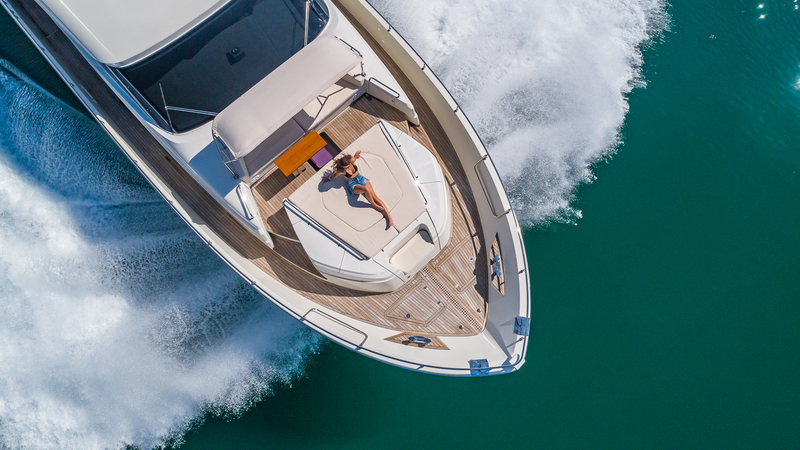 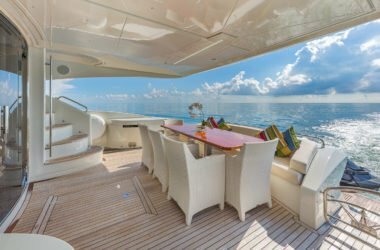 With custom design by Alberto Mancini, the spacious flybridge offers a large dining and bar area, with ample sun loungers to catch rays while cruising from one sunny port to the next, or relax an soak in the jacuzzi on the foredeck. 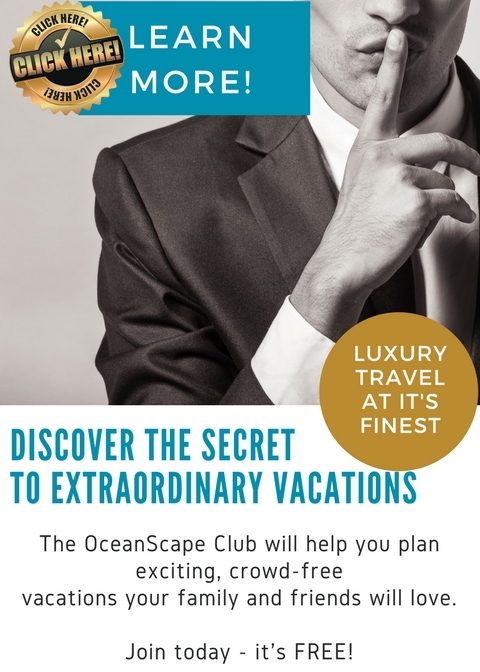 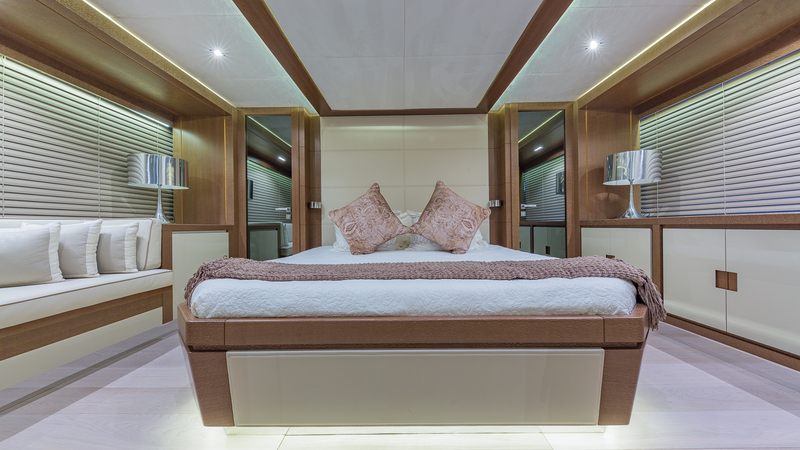 There are four staterooms but can accommodate up to 10 guests, with room for three crew onboard. 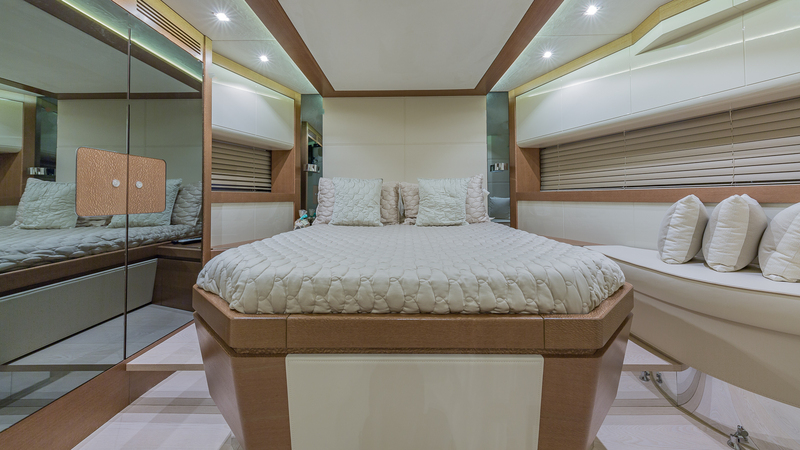 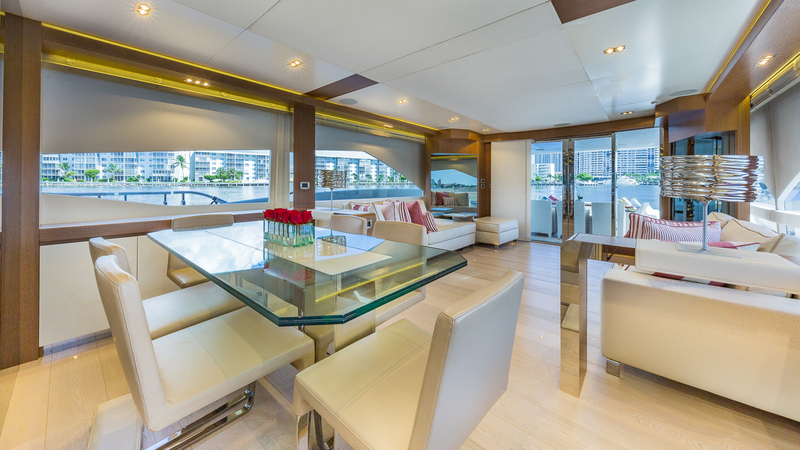 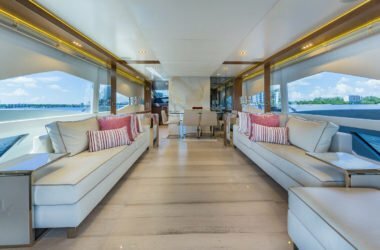 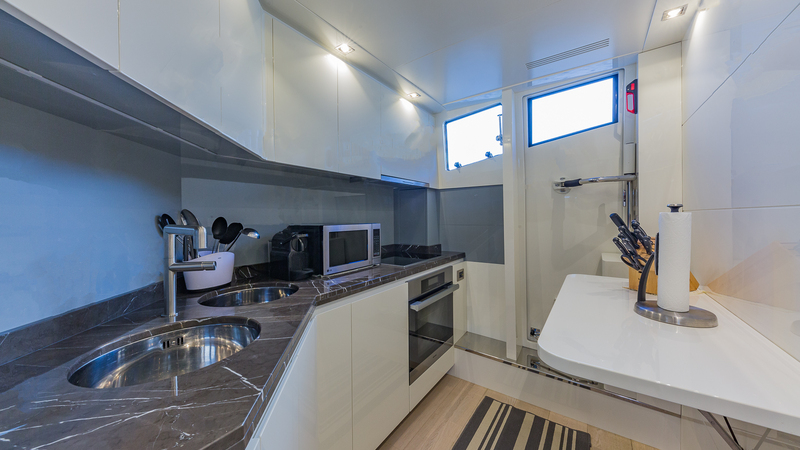 With plenty of toys, room for alfresco dining and bright furnishings throughout, Golden 3 is just waiting to welcome you and your guests onboard! 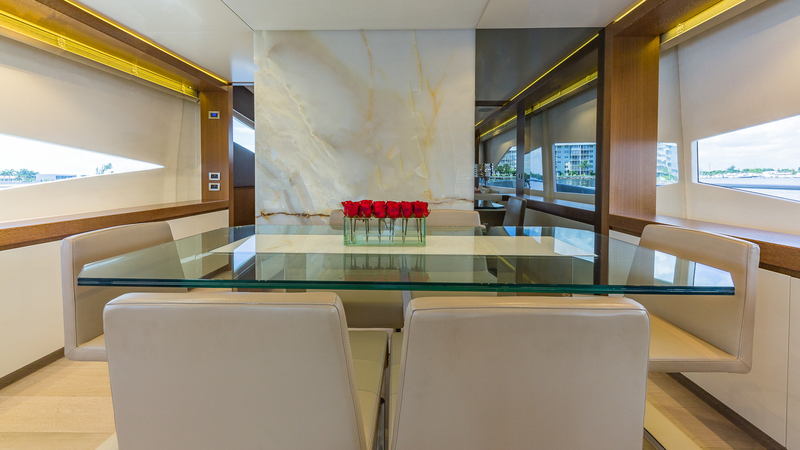 Moving inside, long single pane glass along the salon allows plenty of natural light to pour inside. 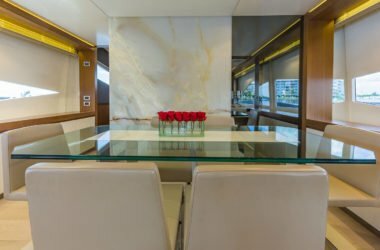 The white furnishings continue the airy feel of the interior, which leads into the formal dining area should you want to dine in style during your trip. 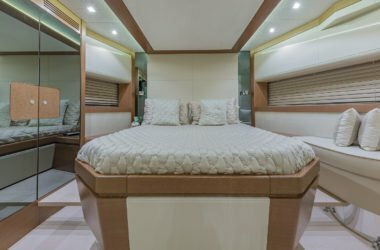 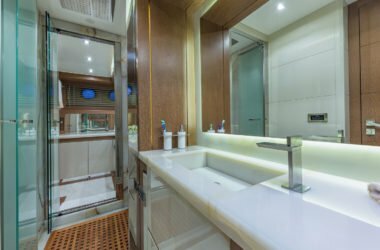 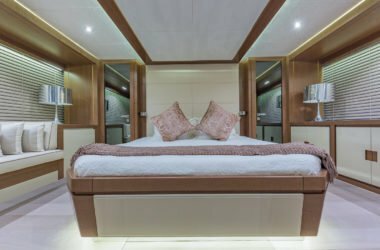 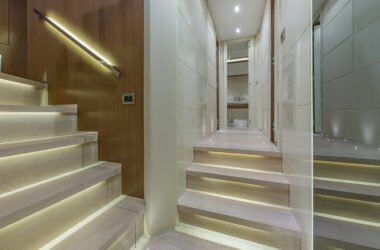 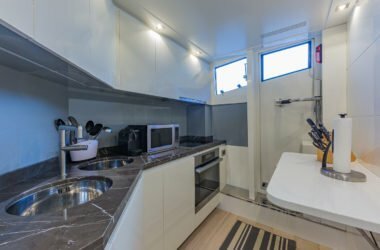 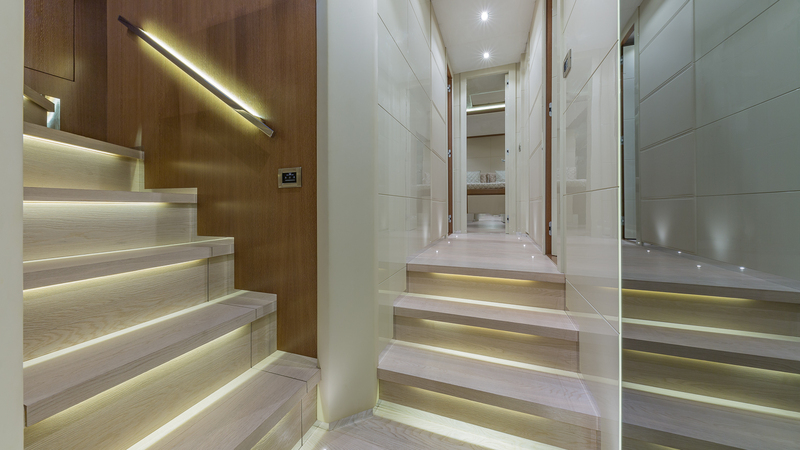 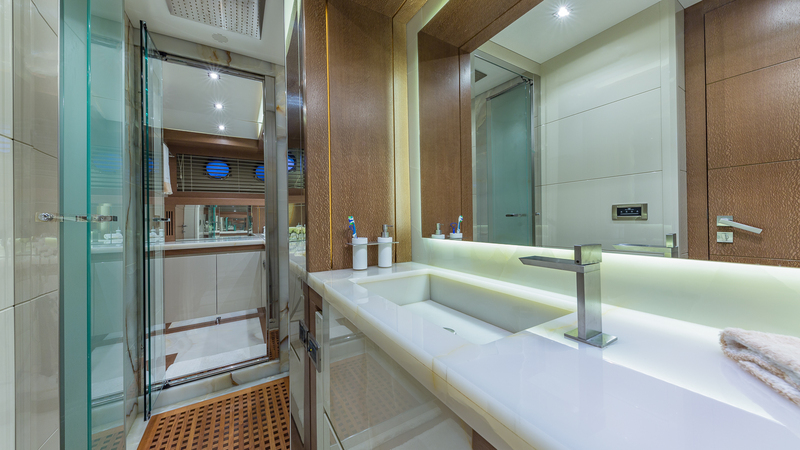 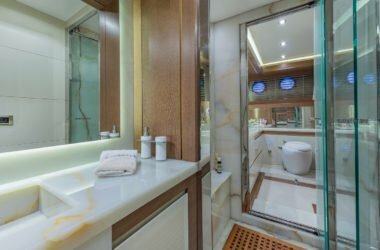 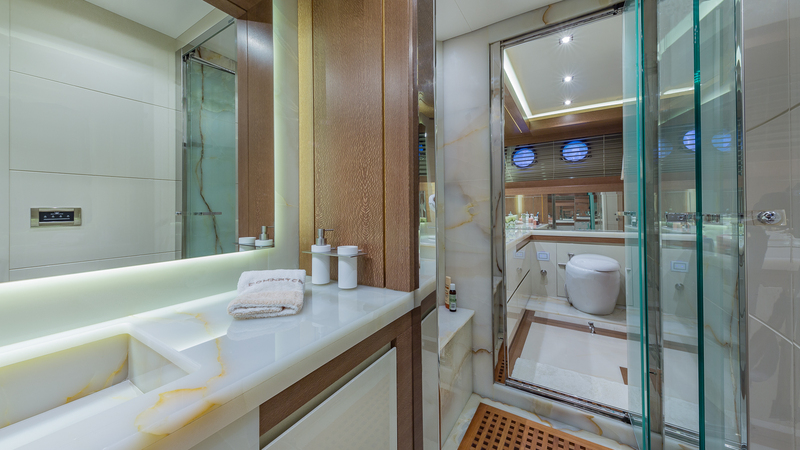 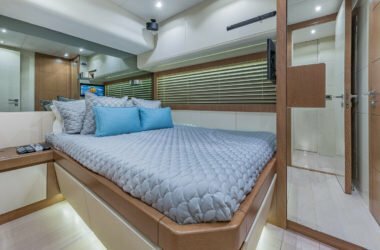 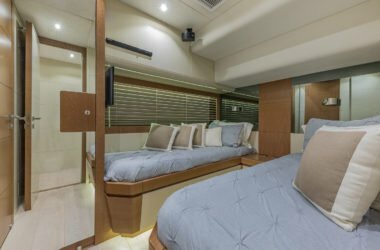 The guest cabins throughout maintain the light finishings, welcoming up to 10 guests in the four staterooms, one of course being the master suite with king berth. 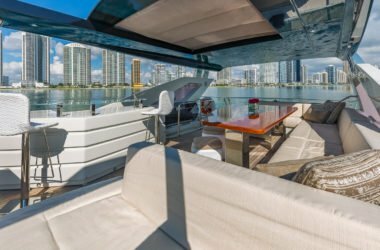 This yacht is currently available for day charter only with a rate of $8,000 per day plus all expenses (roughly 50% of the base cost).